The International Renal Interest Society (IRIS) -- led by a board of 15 world-renowned, independent veterinarians from 10 different countries — recently added SDMA testing to their 2015 IRIS [Chronic Kidney Disease] CKD Staging Guidelines. IRIS classifies kidney disease by stage. Stage 1 kidney disease is early, and stage 4 is late. SDMA combined with standard methods helps gauge severity of later stages too. In fact, combined with other methods, new IRIS guidelines suggest an elevated SDMA marker in a pet with later stage disease could imply that severity of the disease has been underestimated. For example, this means that you and your veterinarian may choose to treat your pet who’d previously been considered a stage 2 as a stage 3, getting them the supportive care they need earlier and the best chance they have for a long, happy life. 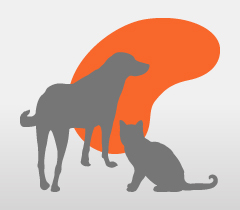 If your pet has kidney disease, SDMA is the best way to understand how advanced the disease is and to monitor your pet’s kidney health so you can help prevent it from getting worse. Make sure to ask your veterinarian to run an IDEXX SDMA test.